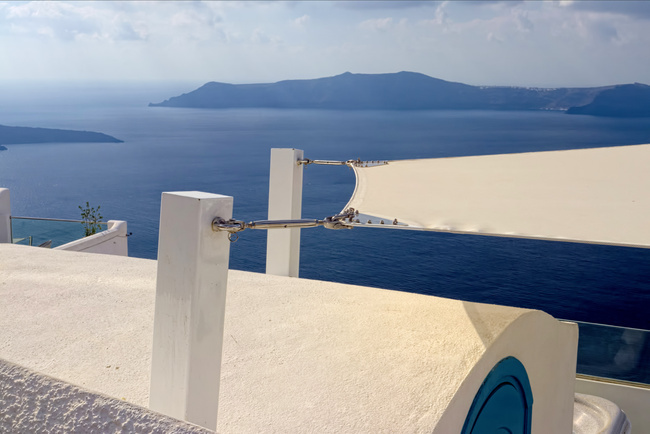 In the head of the Santorini summer, the sun beats down from clear skies and shade becomes a premium commodity. Many buildings feature taught sails to provide relief from the noontime sun. In this photograph, two anchor ends of a sail stick out like fingers holding the cloth tensioned against anchors unseen on the right.